Our latest recipe swap theme was Blogger’s Choice, where we were each assigned a blog and got to pick the recipe we wanted to prepare (think SRC). 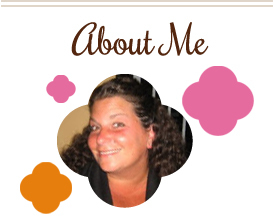 The blog I was given, Kate’s Recipe Box, had some great ones to choose from! I came very close to making this but had a change of plans mid week, and ended up going with something different (I’m definitely making it soon though…like, probably next week!). And coincidentally, it’s a Mexican dish…perfect for tomorrow’s Cinco de Mayo celebration! I made some changes to Kate’s recipe based on what I had on hand and our preferences. My regular readers know Frank doesn’t eat beans, so I omitted them…used smaller (and low carb) tortillas…and swapped out sauce from canned chipotle peppers for the enchilada sauce. I love that this recipe is a healthier alternative to its fried counterpart. I also love that they were easy to prep the night before so we could eat them on a work night. They were delicious! Preheat oven to 350 degrees. Cook rice with onion according to package instructions and set aside. Lay tortilla flat and spread adobo sauce evenly on it. 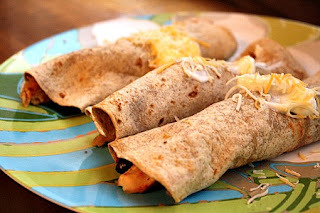 If necessary, soften tortillas first in microwave or a pan to be able to roll them. Add even amounts of rice mixture, chicken, cheese and olives and roll up. Place seam side down on foil lined baking sheet. Repeat with all tortillas. Spray lightly with cooking spray and bake for about 10 minutes, or until tortillas start to crisp up. Top with sour cream and cheese (and guacamole/avocado if you have it…I didn’t). 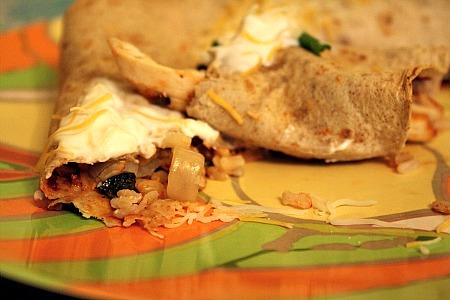 This entry was posted in cheese, chicken, chipotle, main dishes, make ahead, Mexican, QuickAndEasy. Bookmark the permalink. Looks great! I never think to add olives to our mexican dinners. I’ll have to try it next time! Glad you liked them and Happy Cinco de Mayo! Beautiful photos – they look delicious!! mmm … I love anything with chipotles in adobo. Can’t wait to make these for my family! I love chimi’s so I will have to give this baked version a try! Ha — I was about to write almost exactly what Brianna said — anything with chipotles and I’m in! I will have to add these to my ‘to make’ pile of recipes ASAP! I can never bring myself to order chimichangas at restaurants because of how fried they are but these are the PERFECT alternative! Yum! Looks great! I love the idea of baked instead of fried. I’ve made them that way before and they’re really good.